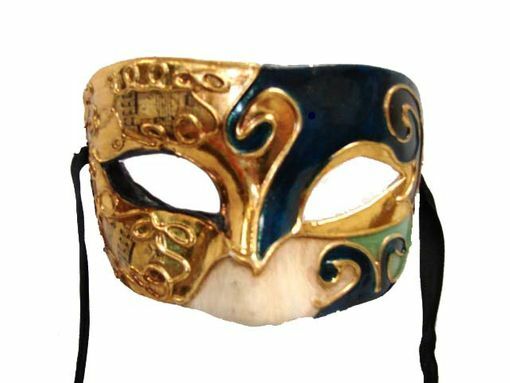 Traditional Venetian mask is hand painted and has raised detail. This mask is made of a light weight durable PVC. Mask comes with black ribbon ties. Size 6"W x 4"H .